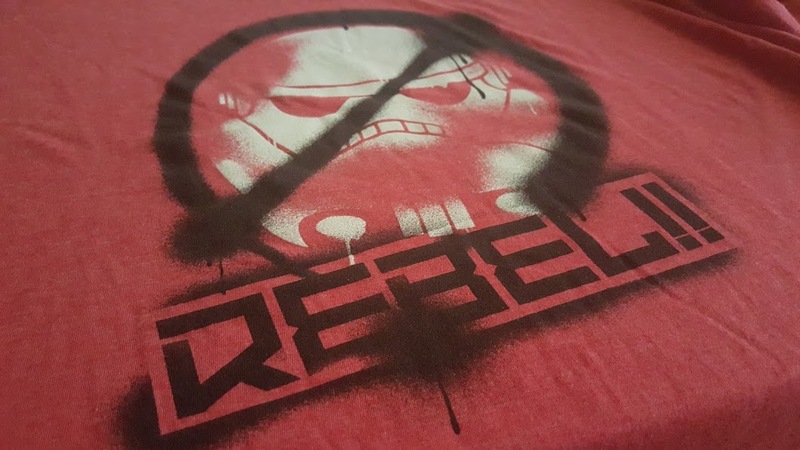 Sasaki Time: TeeBlox - The Latest Geek Subscription Service Is Off To A Great Start! 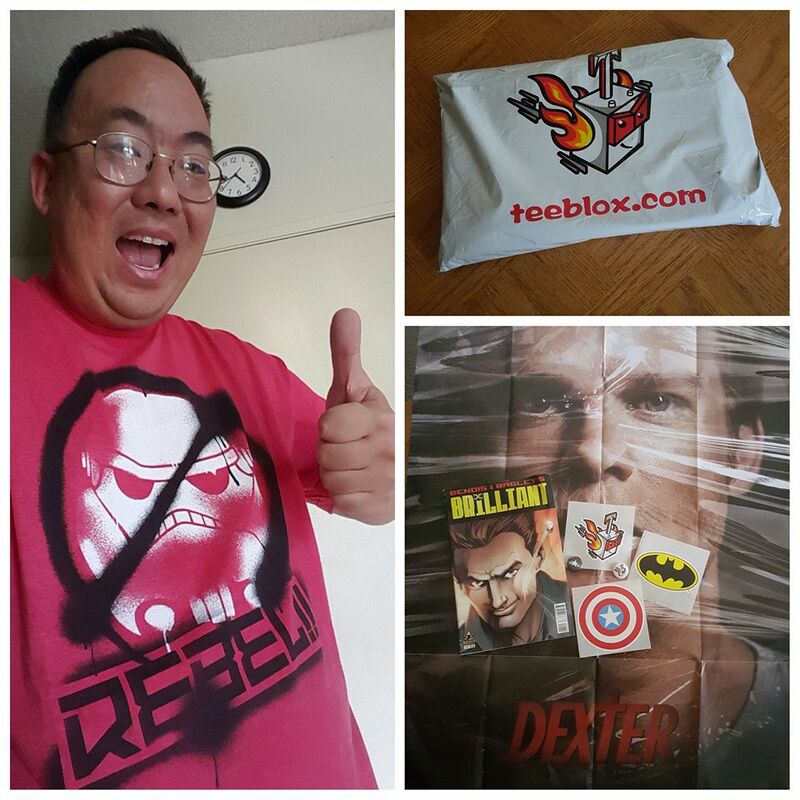 TeeBlox - The Latest Geek Subscription Service Is Off To A Great Start! When the team from TeeBlox asked if Sasaki Time wanted to work with them, I did not hesitate to say, "YES!" The latest entry into the subscription service business is clearly off to a great start that begins with a monthly price of only $9.99! Of course, you get much more value than that inside each package! When the package arrived I quickly tore it open to see all the goodies in store for me! The first thing I pulled out was this awesome Star Wars Rebels shirt! I cannot wait for Season 2 to begin of this awesome animated show! This will more than likely be the shirt I wear at Disneyland when I go and check out Star Wars Season of The Force! Also included were several great stickers including the Captain America logo! 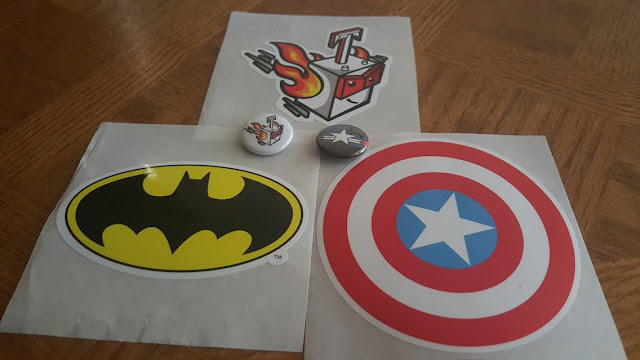 There were several mini buttons with one more Captain America logo! There was this massive Dexter poster and a great comic book that called Brilliant! Not a movie or tv fan? Fear not as TeeBlox has you covered with offerings from video games, comic books and more! Look for special giveaways each month to get your very own TeeBlox for that month and more! Use the discount Code: SASAKITIME and you will get a 15% discount off your first month! Because I'm a huge nerd and this looks like everything I love.